Gravity. This trailer will pull you in to the events taking place. Watch as George Clooney and Sandra Bullock lose their grip in outer space. No, this is not a sequel to Solaris. Directed by Alfonso Cuarón (Children of Men), this October 3 release is about two astronauts hoping and trying to get back to home and safety after debris, that crashed into their shuttle, sets them adrift and alone in space. Scary. About Time. A family has a secret. That secret is that every man in their family has the ability to travel back in time…essentially the power to control big portions of their destiny. When Tim is told this secret at the age of 21, he decides to use it in order to get back the girl of his dreams (Rachel McAdams). He soon learns though that playing with fate doesn’t come without a price. He can change the past, but must live with the future created. Watch this unique time-travel tale unfold and look for it on November 8, 2013. Hammer of the Gods. In order to help his family, his people and his kingdom, a young man leaves in search of his older brother in hopes of convincing him to return home and help restore order. On his way through the treacherous domain, he quickly transforms into the warrior he has needed all along. The violence increases and the hammers fall as his encounter with his brother, Hakan the Ferrocious, turns out much differently than he expected. Look for it on May 30. Fruitvale Station. Winner of the Grand Jury Prize at Sundance, this drama is the true story of Oscar, a 22 year old resident of the Bay area, trying to make ends meet who, on the last day of 2008 comes across both friends and foes and has, possibly, one of the worst “wrong place wrong time” moments. Starring Michael B. Jordan, Octavia Spencer, Kevin Durand and more, this one is not one to miss in limited release this July. Riddick. Here is the first FULL trailer for the upcoming continuation of Riddick’s chronicled tale. Vin Diesel reprises his role as the target of bounty hunters in search of the warrior of the dark. This time around, hunters become the hunted and they all must fight together in order to survive against a new breed of monsters and a man from Riddick’s past. Co-starring Karl Urban, Dave Bautista and more, look for Riddick on September 6. I know this isn’t “movie-related” but it is actor-related and the actors are in movies…so…there’s my loophole! ha. Oh, whatever! I love The Office…and tonite it ends. Even though it took a little bit to get started, and even though it hasn’t been the best for a few seasons, I’ve stuck with it and a part of me feels sad to say “goodbye” after nine years of watching and re-watching every episode. Thanks to Brian at CanBabiesDrinkRedBull.Com who posted some of his top 10 fave memories of The Office and this video that may require you to have a few tissues in hand for your eyes as we say “Goodbye” to NBC’s The Office tonite! 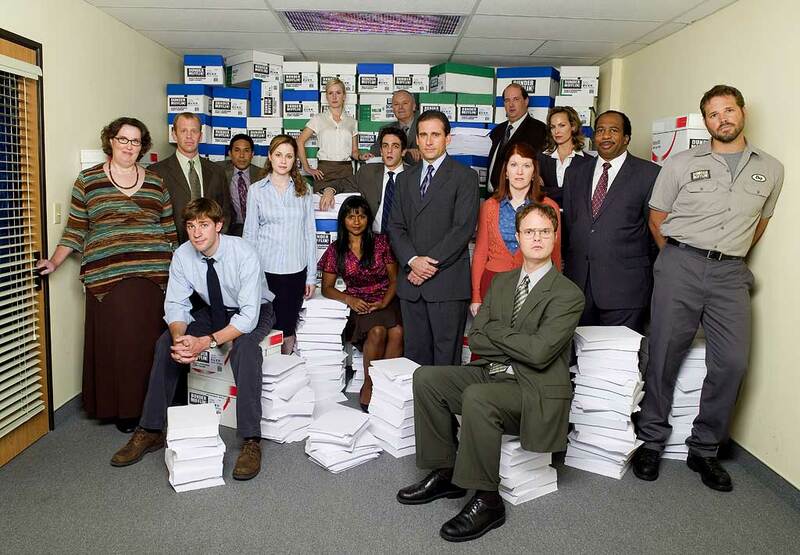 The final 2-hr episode of The Office airs tonight on NBC. My favorite trailers from today: Gravity, Fruitvale Station and About Time. Which ones are your favorites?? Limited Release: Erased, Stories We Tell and more. Anything Alfonso Cuarón does gets my attention. Gravity looks so damn intriguing. Fruitvale Station, too, as it hits close to home. Thanks, T.
Gravity DEF has my attn. Oh wow. And Fruitvale…I hadn’t seen the trailer until today. Do you remember the events of the film? Oh, yeah. I happened to be up at a tech conference in San Francisco around that time when it occurred. Its later trial, ironically, was brought down to L.A. to complete this sad true story. I don’t remember the story and really look to watch this movie. I haven’t watched The Office regularly for a few seasons, but I’ll be checking out the finale. Nice post. Looking forward to Riddick… I like the other two movies that character was in! Glad to share the love man. I liked how they ended it myself. What’s with Rachel McAdams and time travel rom-coms?? 😀 Curious about Gravity, more about the director than the two actors though. He’s been MIA lately, hope he’s ok.